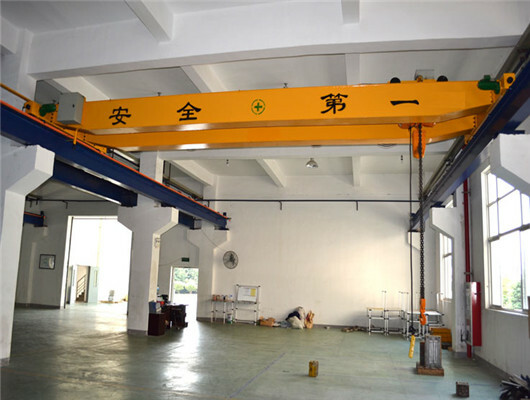 20 ton overhead crane is the lifting equipment that is suitable for various working sites. It can meet customers’ requirements for modern 20 ton bridge cranes with high productivity, economy and safety. Thus, it can ensure the safety of long-term investments for clients. We develop and produce innovative delivery technology for lifting equipment of all sizes. Whether it is workshops or large-scale industries, we all provide them with these excellent. In addition to its long service life, this product offers a full range of standard equipment with reasonable price. Compared with the conventional overhead crane control system, the reliable and durable electronic control system has higher safety and reliability. In addition, after over 30 year development, we have passed lots of testing plans and designs. The equipment meets the national standard with multiple functions of low maintenance rate and easy operation. All in all, we have the products with specifications and varieties. No matter what it is your requirement for height, speed, and functionality, we can provide you with the best solution, and we can even customize new non-standard design. In short, we can provide you with the 20 crane that best meets your requirements. Our company has made basic work for this crane industry and launched many new technologies. At the same time, we still push forward this way and make continuous efforts. After the unremitting pursuit and outstanding performance, today we have become the world’s leading manufacturer and supplier of products in the field of material handling. So, as the manufacturer, we are responsible for our products and services. Currently, our product can be used as a stand-alone device or it can help other machine equipment to operate the working process. The whole machine is supplied with an electric hoist and all electrical accessories. In addition, if necessary, we can also provide you with special safety devices. Installing 20 ton cranes requires only a few common tools, so you can install them easily. On the one hand, it has the high reliability and cost-effectiveness. All components of crane are serial lifting products. Due to the high standard, high quality parts and stable performance, we can guarantee cost-effective supply with safe and reliable, stable and lasting spare parts. On the other hand, we have the comprehensive service. By providing you with professional consulting, planning and design, our service has already started before your order. According to your requirements, we can also provide the customers with professional crane courses. If you want to buy our product, no matter what it is small or large order, we will give you the best reasonable discount. Due to the advanced safety of drive control and the stability of the crane itself, this product is extremely easy to operate. At the same time, it also ensures extremely high quality and standards with reliability, powerful functionality and first-rate safety. Last but not least, our design also emphasizes the convenience of maintenance. For some users, it is important to easily maintain the product. In addition, we can design programmable controller automatic control. The operation of the crane’s various institutions depends on the program control device. According to reasonable structure of the 20 ton overhead crane, it has many advantages about 20 ton overhead crane. It adopts the modern compact design with low height and modular type. 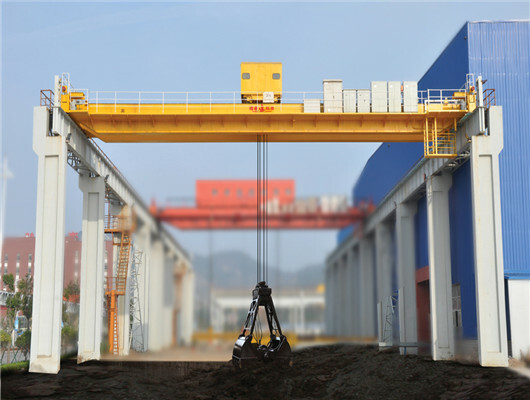 Compared with the ordinary type bridge crane of the same model, the height of the whole product is reduced by about 30%, which can significantly reduce the height of the user’s workshop. It has flexible trolley design for all main bridge girders and favorable clearance size. Compared with ordinary bridge cranes of the same type, the total weight of the product is reduced by about 25%, which can significantly reduce the cost of the plant. It has many speeds to control the whole operation. In addition, the product has spare parts service. When other components are in trouble, the crane responds quickly. It has energy-saving and low energy consumption. 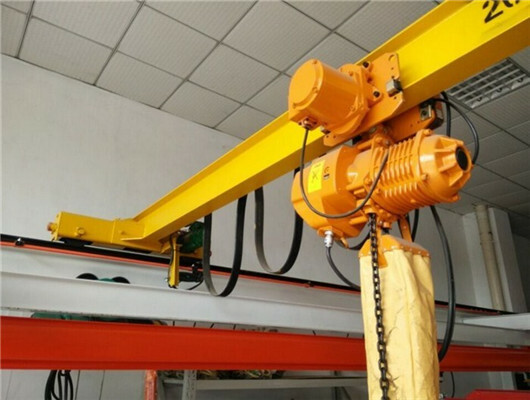 Compared with the ordinary overhead crane of the same type, the total power of the whole product is reduced by about 23%, which can significantly reduce the customer’s usage cost. It has the high precision in the working process. The assembly surface of a series of products adopts international advanced technologies and materials, which improves assembly accuracy and operation performance. QZ model overhead crane with grab is widely used in the power plant, workshop, factory, port or other material handing sites, which is used for loading and unloading goods. The working class is relatively high. Especially, the open direction of crane grab has two types of paralleling with the beam and plumbing with the girder. The picking device is composed of the four rope grab. It has many advantages of easy operation and strong performance. When the equipment works, the grab of product can be open and close in free lifting height. For general grab overhead crane, it can be just suitable for loading and unloading materials in the condition where they are naturally accumulated. 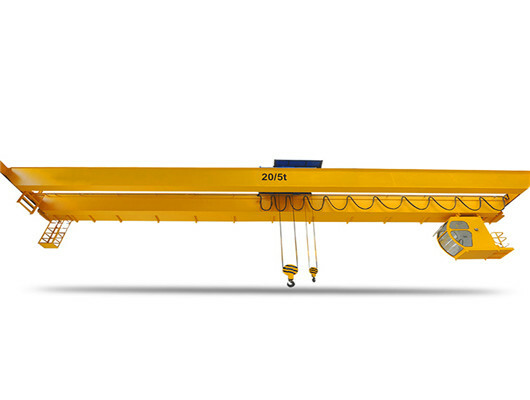 If you want to grab some materials in water, you should indicate the key point when you order or purchase our QZ model 20 ton grab overhead crane. Our 20 ton crane has a variety of types. If you want to buy the right one, our company’s crane can meet your requirement depending on different working sites and environments. The crane installs some safety devices such as driver’s controlling room. The cabin has the three directions of platform door including side, end, and top model. In cabin, you will have a good vision to control the whole working process. When you are in trouble or you see some problems, you can deal with them in time. 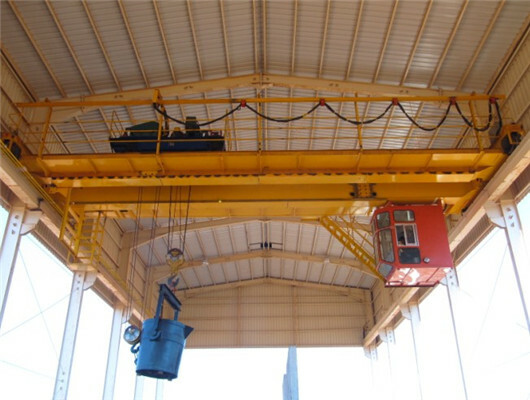 In addition, the lifting equipment can work indoor and outdoor. When the 20 ton overhead crane works outdoor, we can make it add the rain-proof devices. If you want to add some special materials or learn more details, please get in touch us. Dafang is a leader in lifting technology and provides global customers with a wide range of versatile lifting equipment. In addition, it not only offers drive and handling solutions, but also provides comprehensive sales and service support. As the leading manufacturer and supplier in the crane industry, after more than 10-year development and research, the experience ensures that customers to get maximum efficiency and reliability, as well as the highest practicality and best performance. Our company’s products always perfectly meet the needs of customers and markets. Because we always keep the customer and lifting equipment market first in mind, we introduce the 20-ton bridge crane with a variety of functions. This bridge crane is the leader in the lifting products in and the same price range with good performance. In basic of the original function and quality, our experts add some special designs with high standards, which is in line with our company’s self-positioning as a provider of reliable lifting equipment. The product is very flexible. It is not only used for small workshops, but also for large industrial enterprises. 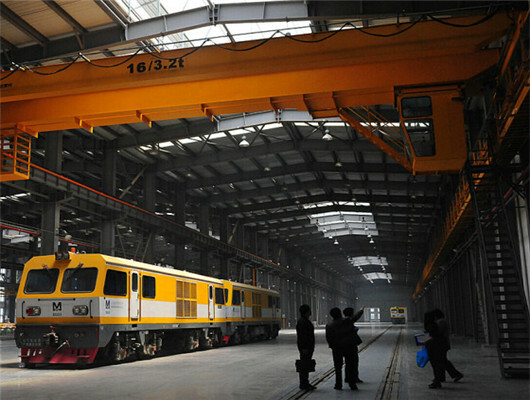 Are you looking for the 20 ton overhead crane? If you need the related products, please email or directly call us. 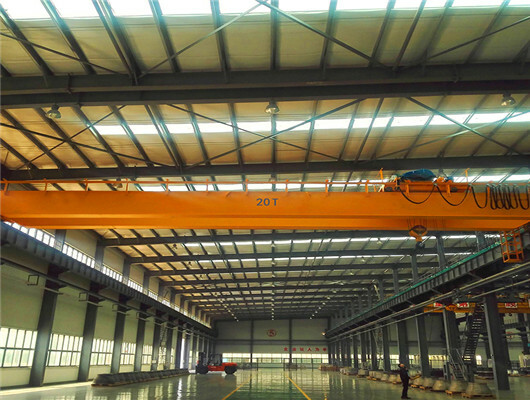 As the leading manufacturer and supplier in construction machinery in China, we have the responsibility for the customers and product quality when our group sells our 20 ton overhead crane. Currently, our products have exported over 60 countries. If you want to order or purchase our 20-ton cane or other bridge crane such as 20 ton high level slewing overhead crane with carrier-beam, 20 ton overhead turning crane with carrier-beam, low level slewing telescopic electromagnetic overhead crane with carrier-beam, over length electromagnetic overhead crane with carrier-beam, tongs bridge crane, etc., please contact us quickly. If you have spare time, welcome to our factory in China.